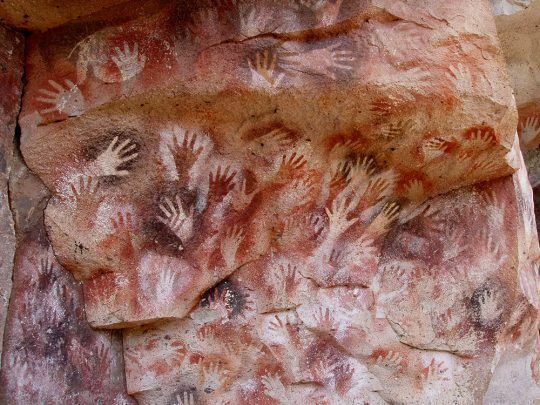 Prehistoric mural painting, Cueva De Las Manos in Patagonia around 10,000 years old. 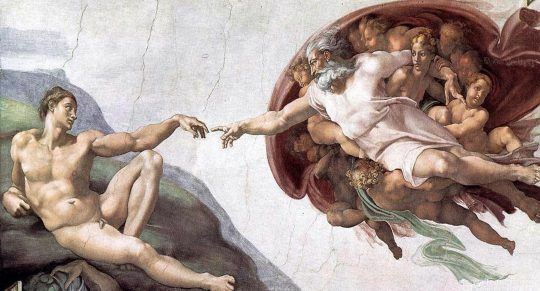 Perhaps the very oldest form of art, mural painting is one of humankind’s earliest forms of expression. Across the world early people covered their cave walls in beautiful paintings. Drostle Arts logo was inspired by this history, not a hand print but rather the space left after the hand was removed, a symbol of humans impact on their surroundings. You can find this simple signature in cave paintings around the world. 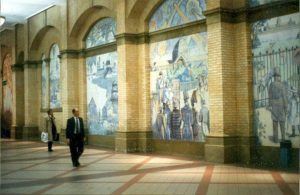 The history of mural painting is long and prestigious. From Cave art the techniques developed through the great buildings of Egypt and the beautiful Palace of Knossos. The temples of Greece and the grand houses of ancient Rome. Across the world different cultures painted directly onto their walls, in China and the far East and the temples of Central and South America. During the Renaissance mural painting reached new heights with artists such as Giotto,Da Vinci and Michelangelo working in large architectural Buon Fresco. These artists forged the identity of Western Europe. Later on masters such as Titian and Tiepolo literally lifted the roof from interiors. At the beginning of the twentieth century Mexico lead a revolution in mural painting. Artists Diego Rivera, José Clemente Orozco and David Alfaro Siqueiros led a new wave of mural painting which reverberated around the world. 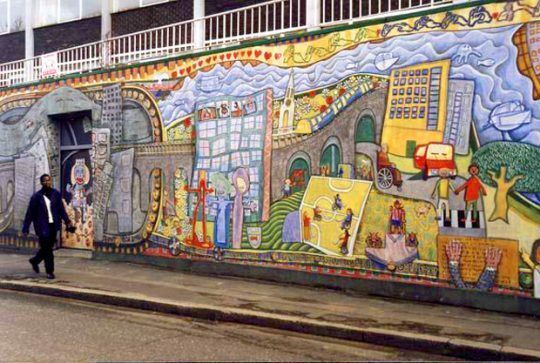 This movement brought mural painting out onto the streets and connected with the lives of ordinary people. 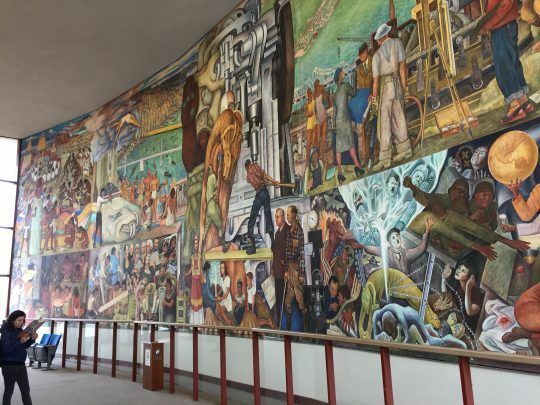 These murals depicted the history and the struggles of the people in huge figurative compositions that transform and invigorate their architecture. The impact of Muralismo echoed around the world new approaches to mural art and importantly the new material of Acrylic Paint. 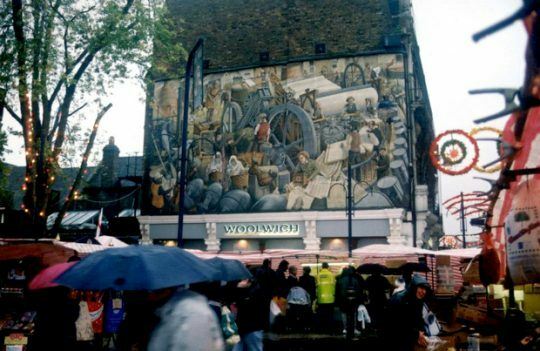 Today the democratisation of mural painting began by the Mexicans has opened up even further. Mural art now draws on many diverse influences including the important impact of graffiti and hip-hop culture and contemporary art. 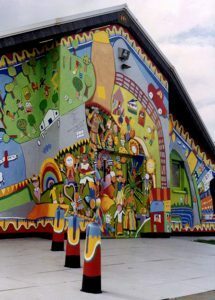 Gary Drostle’s experience of mural painting covers over thirty years, he can design and create your mural uniquely for your site. 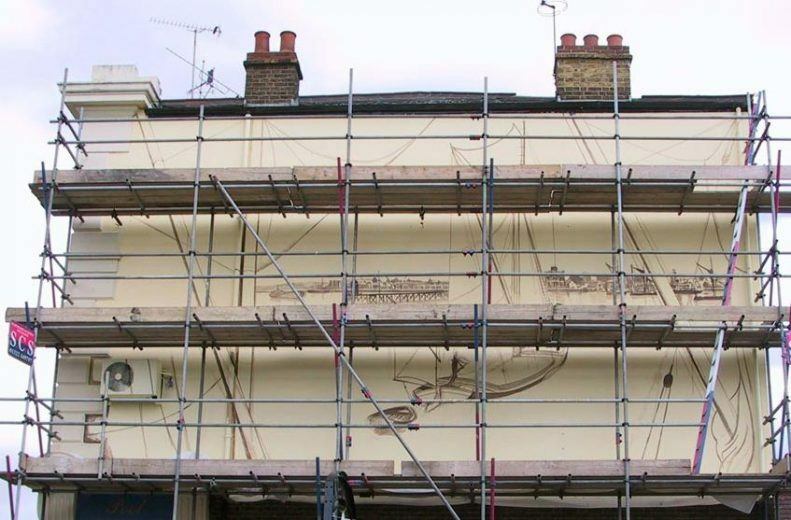 One of the key features of Gary’s work is his ability to draw on local features, architecture, stories, histories and legends to create designs that are special and specific to your site. “For me mural art is about the space it inhabits, the community around where this most site specific of the arts lives”. Murals can be painted for interior or exterior sites, directly on the wall or onto panels or lightweight substrates. Modern materials offer excellent lightfast qualities and durable finishes. There are a number different material options available to the mural painter, which one is right for your site will depend on a number of factors. Keim Mineral Paints – The Keim Paint system offers a completely different type of painted surface from traditional paints. Traditional oil or acrylic based paints sit on the surface of the wall, Keim Paints however crystalize into the walls surface becoming part of the wall itself much like a modern Fresco technique. Keim Paints are based on a Potassium Silicate medium. Pure and long lasting earth pigments are combined with the medium to give a painted surface that not only has unrivalled longevity but also allows the wall to breath. The Keim Palette is harmonious muted palette and blends well with architecture. Artists Acrylics – Gary selects only the most light fast pigments in creating mural paintings in Artists Acrylic Paints. These paints offer a tough durable surface together with the strongest and widest variety of colours. Buon Fresco – Purely for interior sufaces, Buon Fresco painting is the technique of the renaissance masters. The craftsmans mural technique, painting into wet lime plaster, this technique results in a finish unlike any other. Oil Paint – Purely for interior sufaces, oil paints are rarely used for murals unless they are painted onto panels or marouflage. Marouflage – A traditional painting system, marouflage is the process of gluing a painted canvass to the wall to create a mural. This has two advantages, one it can breach hairline cracks, and the other is the mural can be removed and re-located with minimal damage. Spray Paints – The medium of choice for graffiti artists around the world spray paints offer a fast way to cover the roughest of surfaces. . So you have a wall that you would like to brighten up, or you would like to create a real focal point or local landmark, but you’re not sure where to begin? Commissioning Gary to create your mural artwork always begins with you and your thoughts and feelings about what you would like to see. 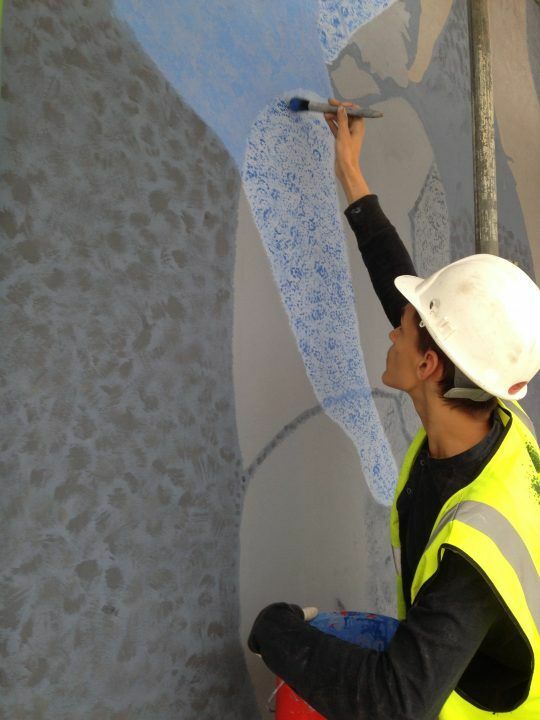 With this as a starting point Gary would usually inspect the site, offering any tips or requirements for preparing the wall and giving a clear quotation for the cost of your mural. Once you are happy with the cost Gary then carries out any research necessary. At this stage community consultation or design workshops can also be incorporated. Gary will then usually present a sketch design, or sometimes two! These design sketches give us the chance to discuss the ideas further and refine the brief. From these discussions a final design can be drawn up. Once agreed the final design showing the correct colours and details forms the basis for the painting works. 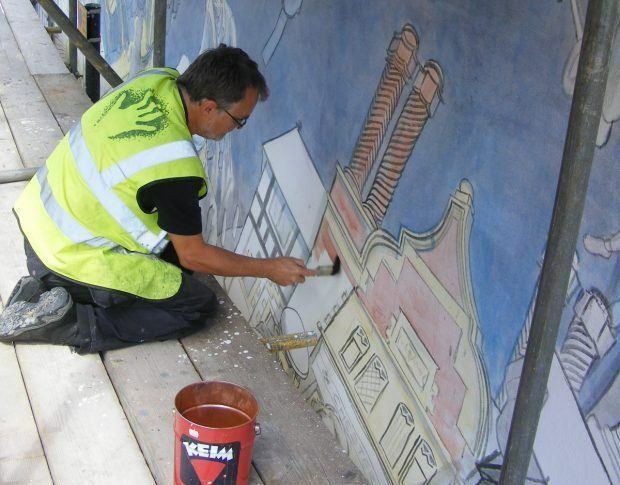 Using his thirty years of experience, Gary is able to handle all the logistics of creating a mural on site, no matter what the scale of your project. Gary is experienced in working with a variety of access equipments, fixed scaffolding, lifts and mobile towers. Gary was a former Trade Union Safety Officer and has always put Safety first. He has experience in managing scaffolding and access equipment, site health and safety, and COSHH requirements. All project are fully assessed and suitable Method Statements and Risk Assessments produced. Drostle Public Arts Ltd has Health and Safety and Environmental Policies which are reviewed annually. Once the work area is safely set up the mural painting can begin. Gary begins painting with the transfer of the design. After that the mural is usually painted in monochrome, the traditional chiaroscuro technique. Once this black and white image has been checked from all views the colour painting begins. When the painting of the mural is complete a protective varnish is usually applied to boost the longevity and aid the finish of the mural (matt finishes are usually preferred to reduce glare on the walls surface).